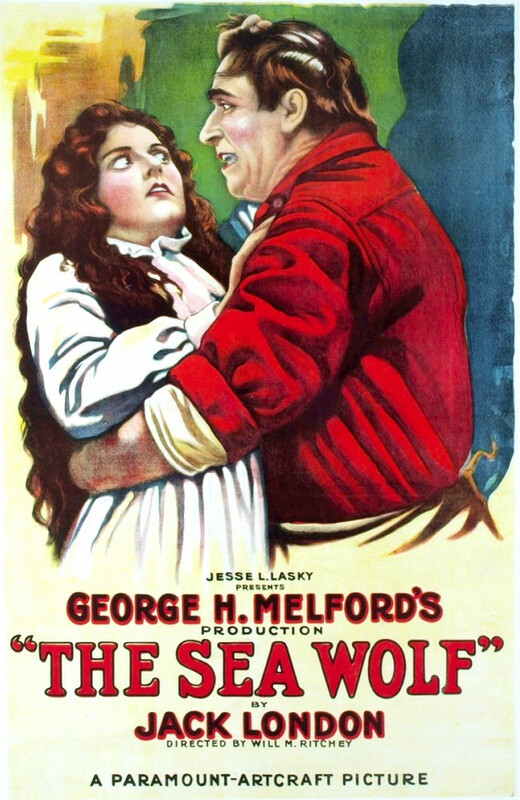 June 21, 1920- Carl Wanderer and his seven month pregnant wife Ruth had gone to see the moving picture adaptation of Jack London’s novel, The Sea Wolf. Seated in the Pershing Theater as ‘Wolf’ Larsen silently battled ‘Hump’ van Weyden on the silver screen, another battle was being waged in Wanderer’s gut. Taking his wife’s arm, he looked at her watch; nine o’clock. 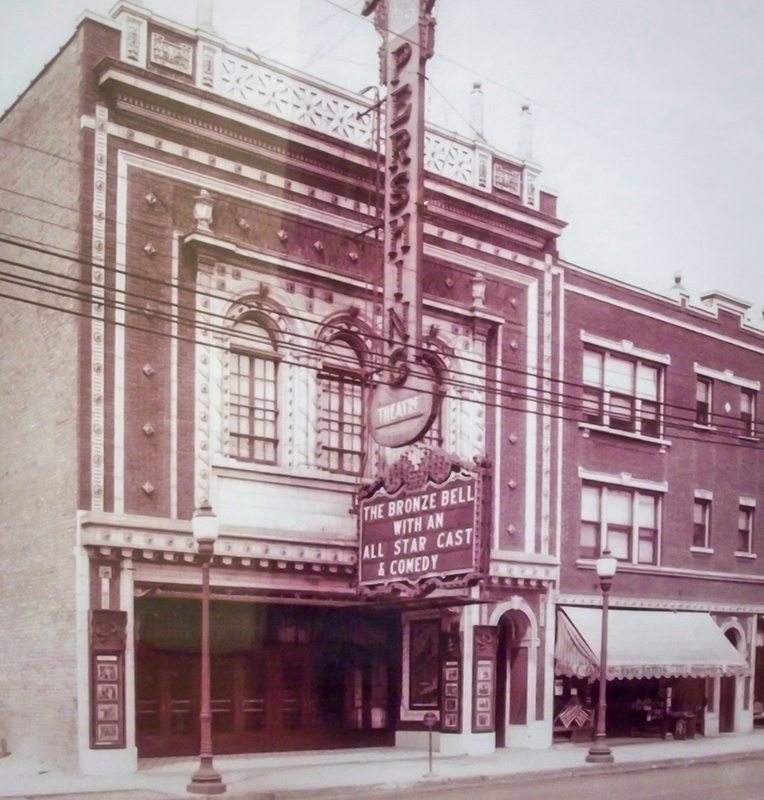 The Pershing Theater, pictured here in 1921, is better known today as Lincoln Square’s newly remodeled Davis Theater. Zindt’s Pharmacy at the southeast corner of Lincoln, Lawrence, and Western in Chicago’s Lincoln Square neighborhood. 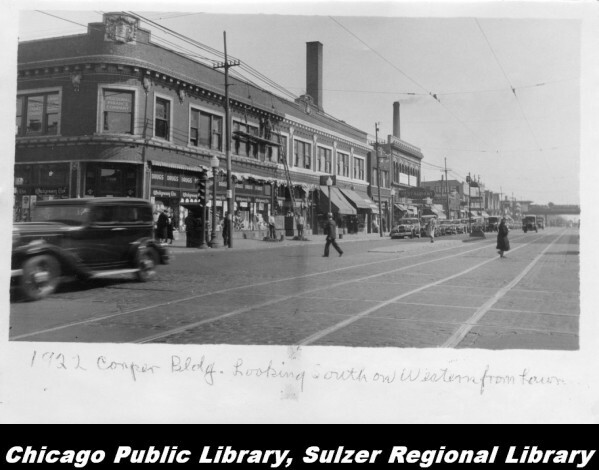 Note a cobblestoned Western Avenue with streetcar tracks embedded in the street and electrical wires suspended above. The Western and Wilson el tracks are just visible to the far right of the photo. And while the photo appears captioned to 1922, it’s more likely 1932, or thereabout, based on what looks like a 1932 Ford sedan on the left. The first-floor neighbor at 4732 N. Campbell, James Williams, his quiet Monday evening at home interrupted by gunfire, called police after hearing Ruth tell Carl she was shot. After he had called the police, he opened his door to the vestibule to find Carl Wanderer sitting on a prone man on the vestibule floor. 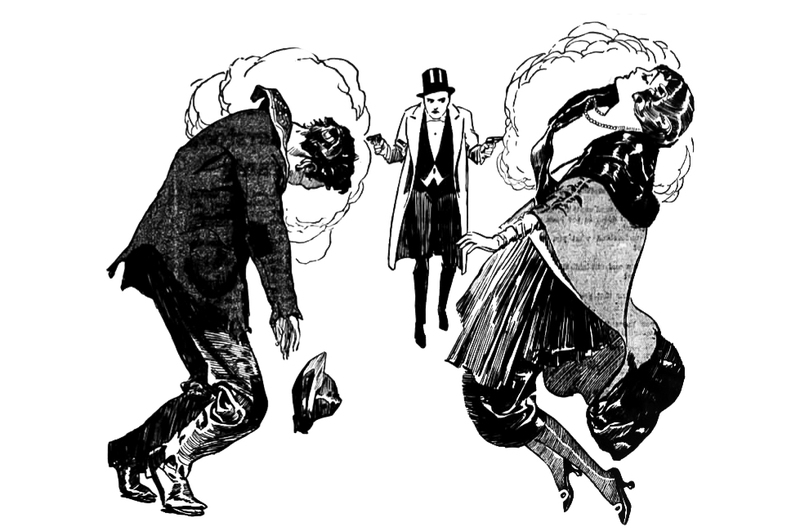 The dying man’s head was at the foot of the threshold to the outside door; two revolvers were on the ground next to the stranger. Mr. Williams would later testify that Wanderer had the stranger by his hair and slammed his head down on the marble floor, “over and over”. 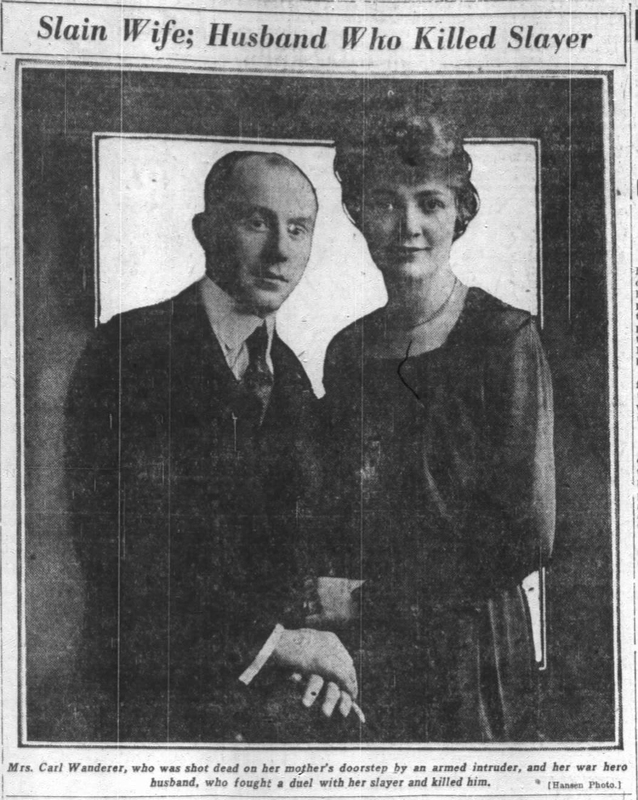 Hecht was assigned the Wanderer case and met with Carl the morning after the murder. 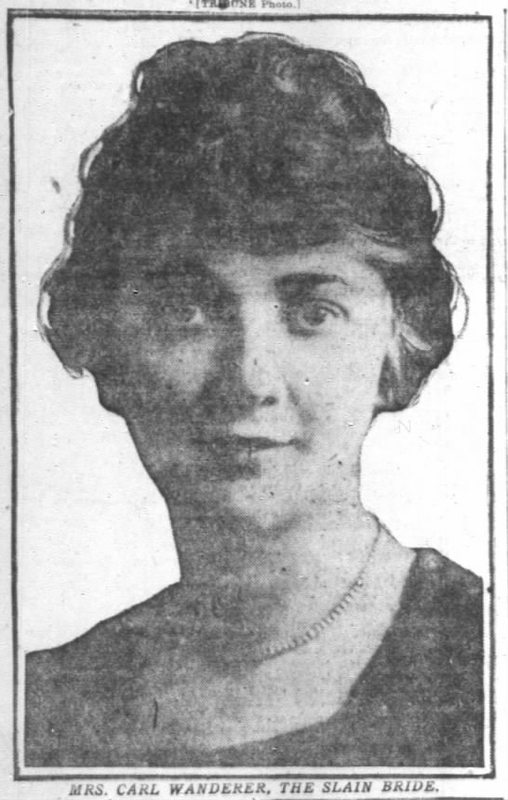 When Hecht found Wanderer he was ironing his trousers whilst whistling a tune with his wife’s dead body in the next room, Carl and Ruth’s bedroom. Hecht found Carl’s grey eyes disarming and would later say he had an immediate dislike for Wanderer. He wrote that without emotion Carl replayed those fateful moments for the scribe and after checking his gold pocket watch, he told the reporter his story.